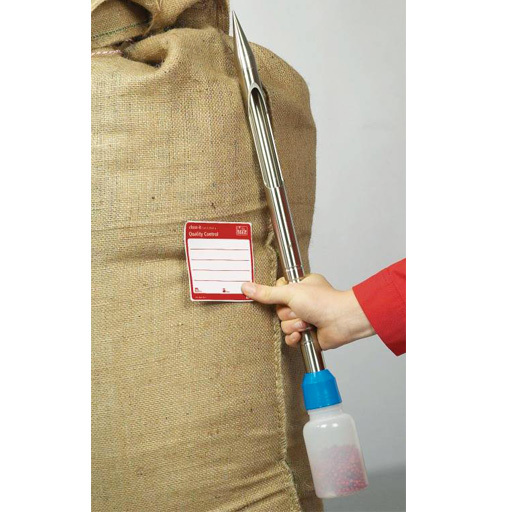 The core sampler QuickPicker is particularly suitable in the event that bulk goods are taken directly from sacks or bags and have to be filled into the original sampling bottle directly. QuickPicker is uncomplicated in its use and cleaning. No undercuts or edges mean no sample residues which could falsify subsequent samples. It is therefore ideal for quality control. 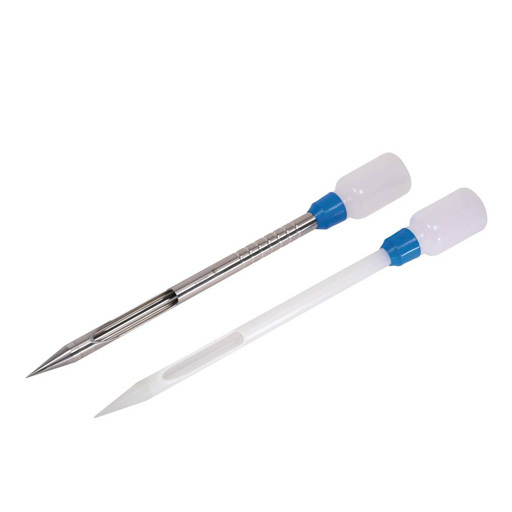 The sampler QuickPicker is delivered complete with two 250 ml PE sample bottles and with a cleaning brush. Corresponds to ISTA standard for seed lengths of 10 mm (wheat, oats) and 5 mm (flax, vetches). Autoclavable up to max. 121 °C 20 min.